On any given Sunday morning, you can see a Bering member grab a songbook, open the front cover, and extract a 3-by-5 card from what looks like an old-fashioned library card pocket. The member scrawls a name on one side of the card and then flips it over to write a message of encouragement. In a time when social media enables people to send messages instantly to others, Bering’s little missives of encouragement continue to uplift church family members and those they care about via snail mail. It’s a simple concept that has stood the test of time for 30 years. 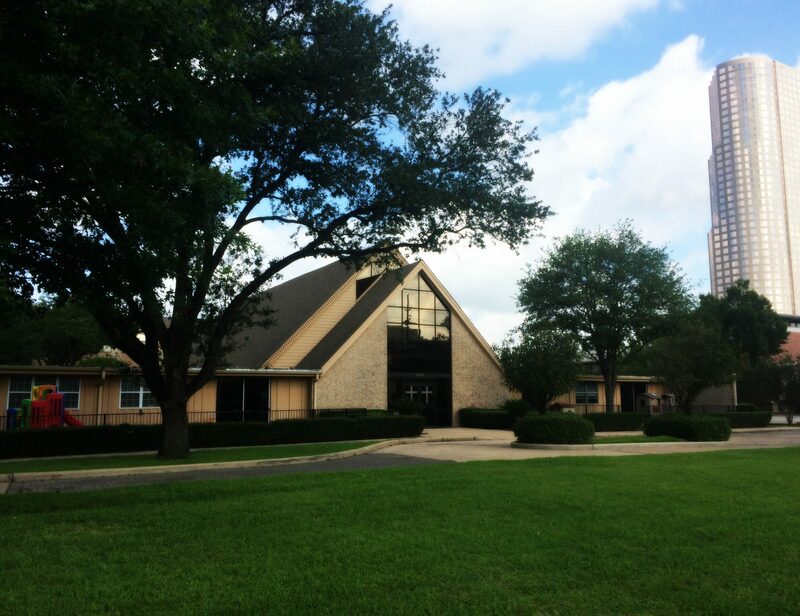 The brainchild of Samira Fitts, the Encouragement Ministry at Bering Drive Church of Christ began in 1985, after Samira read a book entitled Strengthening Your Grip, by Charles Swindoll. 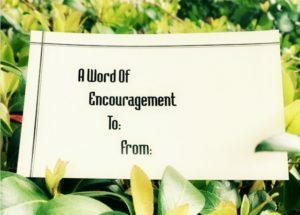 One of the book’s chapters discussed the importance of encouragement and how a church in Oregon had used cards to spread encouragement among the congregation. Samira says she had been “praying to do something at Bering,” and starting an encouragement ministry seemed like an answer to that prayer. So at a mid-week visit to the church office, she discussed the idea with Bill Love, Bering’s minister at the time. “He wanted to start it the next Sunday!” Samira recalls, her whispery voice crescendoing to a near-shout. Samira first had to present the idea to the elders, who quickly approved it. Cards had to be printed and a system and budget worked out. Gerald Robinson, a Bering member who had a printing business, printed a supply of cards that Pat Schrader designed. Samira would address the cards to be sent with postage from the church office. From the very first Sunday the cards were introduced in March 1985, the Encouragement Ministry succeeded. In a short time, a few hundred cards were being mailed each week, and by 1988, the ministry was sending out an average of over 1,000 cards a month. 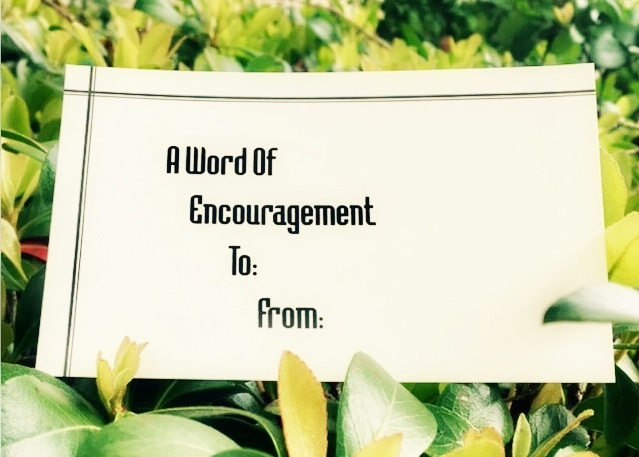 Writing encouragement cards is now an integral part of the worship service. Each week Bering members write messages to encourage the sick, the lonely, the hurting, and the incarcerated. Members send cards to celebrate someone’s birthday, anniversary, birth of a baby, a new house, a new job, retirement, or an honor. The list of reasons to write a card is endless. The purpose in writing one is scriptural: to build up one another (I Thes. 5:11). A widow said the cards she received following her husband’s death filled a garbage bag—and it did not go into the trash. She read every card. Now remarried, she still has the bag more than 25 years later. A man whose mother was not a believer said he was surprised to find the cards posted all over her hospital room during a particularly difficult illness. A young man on the prayer list received stacks of cards each week. Overwhelmed by the number of people who actually cared about him, he told the congregation how the encouragement cards reminded him of God’s loving kindness, and he decided to invite God back into his life. Samira remembers that years ago when Bill Love felt discouraged, he would sit down and read the messages the congregation wrote. He said reading the cards assured him of the many ways God is at work in the lives of the Bering family. As one of the stories above illustrates, often people remember someone who has never set foot in the church building. “The words of encouragement bless many beyond the walls of our church, as well as our family at Bering,” Samira says. The Encouragement Ministry has gone beyond the church walls in another way. Visitors who observe the practice at Bering have taken the idea to their home congregations and called for guidance on how to set up an encouragement ministry. It is not known how many churches today have adopted similar ministries. It is clear that Bering has this ministry well oiled. After years of doing all the ministry mechanics, Samira now has a team of 10 women who sort the cards, address them, and stamp the envelopes. In 2014 they mailed approximately 7,600 cards. Samira still oversees the ministry, making sure that a team member is assigned each week and that the cards are available in the pockets of the church hymnals. Because next Sunday, just like every other Sunday for the past 30 years, Bering members will write more encouraging words to bless others.